If you’ve made it to this post, then you likely use cloth wipes! Cloth wipes are a great green switch to make if you have a baby. In my cloth wipes post, I talk about the different ways you can use to wet your cloth wipes and one of those ways is with a cloth wipe solution. You can buy a cloth wipe solution but it will end up costing you lots of money in the long run. Not to mention, if you are switching to cloth baby wipes for an eco reason then buying bottle after bottle of pre-made wipe solution somewhat defeats the purpose. The alternative? 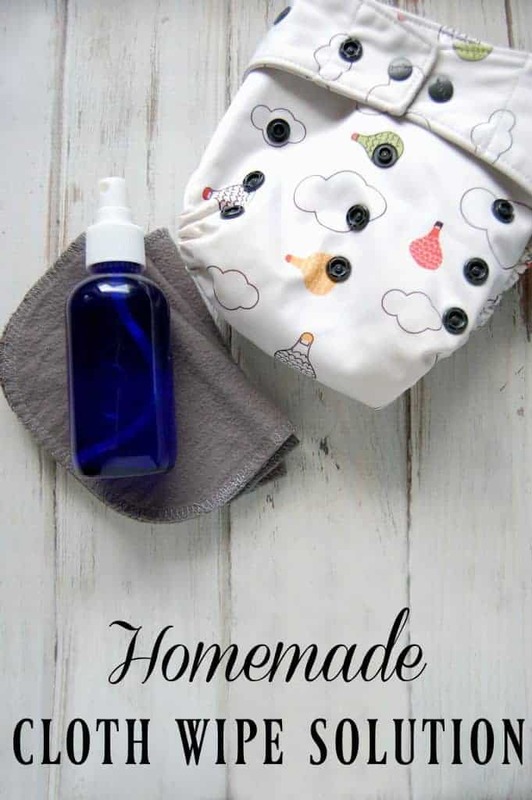 A homemade cloth wipe solution! 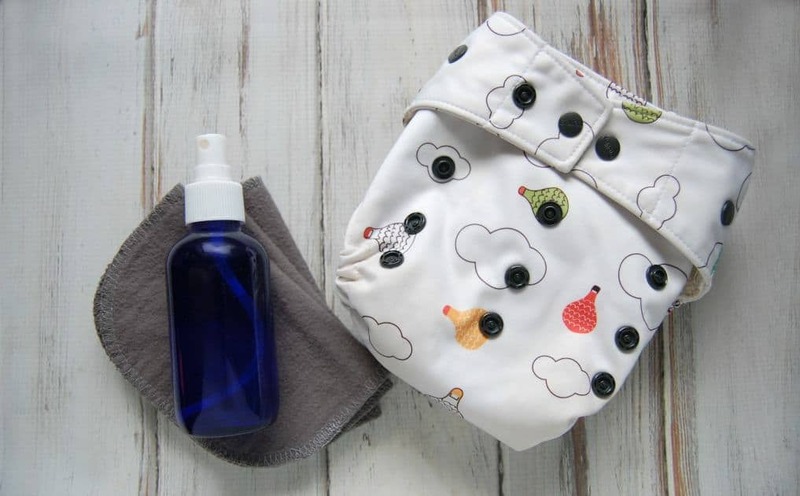 Making your own cloth wipe solution is incredibly easy! Just three ingredients and a few seconds of your time is all it takes to make this toxin free baby product! Castile Tea Tree Soap – Castile soap is a great all natural soap (it’s basically one of those must have natural living products). This soap is what helps clean your baby’s bum. Opting for the castile soap that includes tea tree helps keep your baby’s bum extra clean as tea tree is antibacterial and anti-fungal. Apricot Kernel Oil – You could use any liquid oil but apricot kernel oil is a nice thin oil that will help moisturize the skin. Water – Water isn’t really an ingredient worth mentioning but I told you it was three ingredient so I’ll explain all three. Water just helps dilute the cloth wipe solution. Mix the soap and the oil together and then add warm water. To use just spray your wipes before use and that’s it! I've been using cloth wipes for about 6 months now… but my daughter is just now starting to eat solid food. I'm not sure how to handle the poop on the cloth wipes now! How do you handle "big kid" poop on a cloth wipe? Do you rinse it off in the toilet before washing them?? Most of the time there's not much there that gets on the wipe. My son is 2 years old though so things are more established. If I do get a really nasty one then I admit I still rinse it off in the sink. I probably don't have to but I'm paranoid about stains like that.